Dr. Erin Tireman has over 13 years of experiencing conducting psychological and neuropsychological testing and a clinical background in the treatment of various psychological disorders, including, major depressive disorder, PTSD, bipolar disorder, ADHD, psychotic disorder, substance use disorders, developmental disorders, and neurological disorders in children, adolescents and adults. She obtained her Masters and Doctoral degrees in Clinical Psychology with a specialization in Neuropsychology from Nova Southeastern University. She also obtained her Bachelor’s Degree in Psychology from Loyola University of New Orleans. 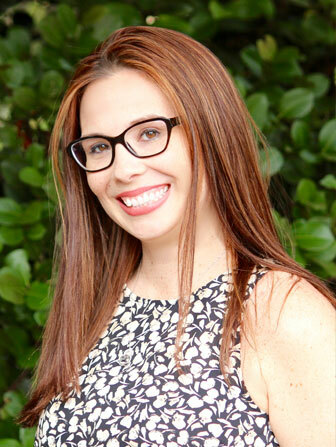 Dr. Tireman has an extensive history in research and was a research coordinator for the Neuropsychology Assessment Center at Nova Southeastern University and has provided treatment and assessment of both adults and children in both inpatient and outpatient settings. Dr. Tireman has also pursued a partial post-doctoral Master’s Degree in Clinical Psychopharmacology, which has enhanced her knowledge in the area of central nervous system pharmacological research. Dr. Tireman has worked with Segal Trials for eight years, starting as a clinical rater, continuing as Clinical Rater Supervisor and has now been promoted to Director of Clinical Operations for the entire company. She continues to be a clinical rater and sub-investigator on numerous different research trials in a variety of indications. She has been certified on nearly every CNS rating scale by every major rating company. Dr. Tireman has been involved in numerous conferences and has significant interest in the advancement of central nervous system trials, with particular interest in mitigation of placebo response within CNS trials. As Director of Clinical Operations, Dr. Tireman is responsible for the management and operationalizing of the clinical division within the company, including Principal Investigators, Sub-Investigators, Clinical Raters, and site staff. She works directly with the Medical Director/Chief Scientific Officer to ensure quality of clinical work and productivity amongst the company. Dr. Tireman also works directly with the Clinical Rater Supervisor to ensure quality, improve inter-rater reliability and mitigate placebo response within the clinical team at Segal Trials.